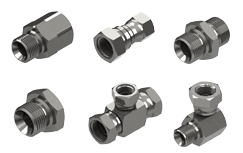 AS A SPECIALIST MANUFACTURER AND SUPPLIER OF HYDRAULIC FITTINGS AND ADAPTORS, BURNETT & HILLMAN BELIEVES IN CUSTOMER SERVICE. We stock and manufacture the best quality products, and our staff are trained to provide the best back-up to our customers. We believe that we offer an unbeatable combination of first class service, rapid response, good stocks plus access to a diverse and ever growing product line. 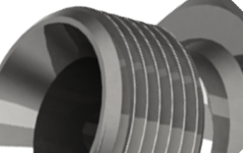 Whatever your requirement, from one-off specials to high volume pieces, Burnett & Hillman can provide your company with all your hydraulic adaptor needs. No one knows hydraulic adaptors better than the people at Burnett & Hillman. Our years of experience gives us an advantage over other suppliers. We have more to offer in terms of range sizes, customer service and technical assistance. 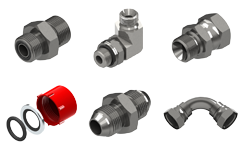 Please view our Hydraulic Adapter & Fitting Ranges for further information.